As an alumnus of the University of Hong Kong (HKU), I am concerned about the university's future as much as any other alumnus or alumna. I am aware that a significant number of us have reservations about Professor Arthur Li Kwok-cheung's appointment as chairman of the HKU Council. These are based on his style and comments he has made in the past - particularly his objection to Professor Johannes Chan Man-mun's proposed appointment as pro-vice-chancellor. Li's appointment was actually delayed for two months because of this controversy. It is likely that Chief Executive Leung Chun-ying will receive a lot of flak for going against public opinion and appointing Li. However, I would argue that we should give Li the benefit of the doubt. We should see whether he will deliver after he takes up the job. After all, it is the integrity of a person which really counts in regard to appointments at such a senior level. Our like or dislike of someone should not be a factor at all. Joseph Wong Wing-ping, retired secretary for the civil service, did not agree with Li's appointment, but during a radio program on the weekend said that Li was a competent dean of the Faculty of Medicine and vice-chancellor when he was with the Chinese University of Hong Kong. Like most people who know Li, Wong believes Li is someone who speaks his mind, is energetic and gets things done. To me these are two of the most important qualities of good leadership. Much of people's objection to his appointment seems to be related to his objection to Johannes Chan's proposed appointment as pro-vice-chancellor. But as a member of the council he is entitled to form his own opinions and should be allowed to vote based on his own views. 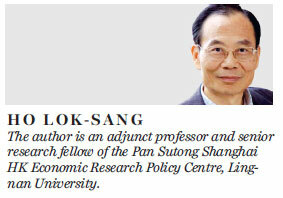 Who is to say that his vote was not in the best interests of HKU? Or, who is in the position to say that his judgment is right and other people's is wrong? Joseph Wong is not alone in worrying about Li's suitability to serve as chairman of the council. The HKU Convocation passed a resolution last November endorsing "the view that Professor Arthur Li Kwok-cheung is not suitable to be the chairman of the Council of the University of Hong Kong. This is because he does not have the trust, confidence and respect of the academic and non-academic staff, students and alumni of the University of Hong Kong." But why? If the university's independence is at stake, consider what another alumnus said at the height of the controversy surrounding Chan's proposed appointment last August. Lawrence Pang Wang-kee, a 1973 graduate and spokesman of the group of convocation members that supports and endorses the joint statement of 10 deans of faculties of HKU, said: "We are not supporting or bringing down Chan Man-mun, we just want to safeguard academic freedom and university independence." After his appointment, Li said he was honored by it and added that he would strive to maintain HKU's traditions. Li said that he would work to elevate the status of the university further to make staff, students and alumni feel proud of it. In response, HKU student union president Billy Fung Jing-en challenged Li's credentials for upholding HKU's traditions, saying he was not an alumnus of the university and had never taught there. In saying this, Fung betrayed his prejudices. An alumnus does not necessarily know of a university's traditions. Knowledge about the university's traditions can be derived from many sources. Reading about HKU's history, its graduates, interacting with its alumni, and serving on the university's council will help Li to obtain this knowledge. Peter Mathieson is not an alumnus of the university either, yet he is serving as its vice-chancellor and in that role is defending the university's traditions all the same. If we really want the university to take on the challenges of the 21st century and to serve the best interests of Hong Kong, we really should leave the controversies and divisiveness behind and look to the future. True independence of the university and real academic freedom can only be achieved if we all can put aside our personal likes and dislikes. This will allow the university to follow its standards and procedures according to the book. Piling on political pressures to try and sway the council's decisions (such as that on the Johannes Chan issue) will undermine the university's independence. The university has issued a statement saying: "We are looking forward to working closely with Professor Arthur Li to further the best interests of the university. With the support of the whole council, we are confident that the university will scale new heights in realizing the latest 'Vision 2025' Strategic Plan centered on Internationalisation, Innovation and Interdisciplinarity, converging on Impact." The university's future ultimately depends on how well we can work together. Only time will tell whether the CE's decision to appoint Li to the post was a correct one or not.